Architektin Kelbing has been practicing architecture and design since 2003, having worked on many leading private and public projects in Überlingen and the wider Lake Constance/Bodensee region of Baden-Württemberg in Southern Germany. This includes a range of project sizes and types, including residential buildings, urban design/planning and regeneration, commercial, industrial, and landmark sites for the public sector. Committed to designing and building spaces that truly reflect people and their space/location. Essentially this means direct and personal attention, with a service that is very much tailored for each customer. Meanwhile, extensive experience and knowhow has given Architektin Kelbing practice the confidence and trust for good judgement, competence and quality. Always taking a holistic approach to architecture and design, incorporating techniques and experiences, the client's perspective, location, environment and technology. From the very early stages, a comprehensive analysis must be completed to establish the customer's specific goals, context and identity. This incorporates defining their profile and that of the proposed space and location. Throughout the process, constantly interacting and collaborating with the customer to reach consensus and move the project forward until successful completion. As the process evolves, specialised building, design and modelling software assists to map out and evaluate various decisions, such as aesthetics, the building's technical/structural dimensions, overall functionality and performance, environmental conditions, among other. This also applies to after construction, conducting a post-occupancy evaluation both on performance objectives and customer satisfaction. In architecture, quality ultimately reveals itself in the results, in design value, aesthetics, structure & functionality. The goal is to create spaces where people can unfold and feel pleased, whilst enhancing the human experience. It is also important that the customer's well-being is at the core of the service, making sure they have a positive experience throughout the entire planning and construction phases. To enhance this perspective and uphold standards, clients are invited to provide additional feedback on every aspect of the service. A more detailed review is then carried out, as well as exploring new ways of bettering processes and systems. 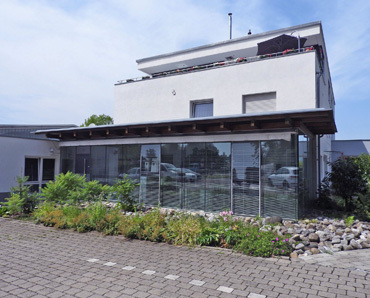 Professionally, Architektin Kelbing has been a member of the Baden-Württemberg Chamber of Architects since 2003 (No. 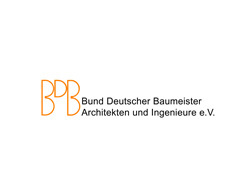 058662), and the Association of German Master-Builders, Architects and Engineers (BDB) since July 2014 (No. 9343). 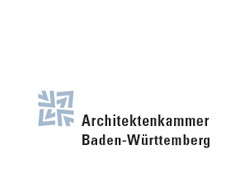 The Baden-Württemberg Chamber of Architects is a service organisation and controlling body, representing the interests of its approximately 25,000 members from the area of building construction, architecture, interior design, landscape architecture and city/urban planning. The organisation is autonomous and self-managed through democratically elected bodies. Architects issue their own professional code-of-conduct, determine their professional policy and participate in government lobbying for the making and changing of laws and regulations. On the basis of their everyday practical work experience, architects can react promptly to special developments in the committees.